Furnace Installation & Furnace Replacement FAQs | Robert B. Payne, Inc. The time has come: either your old furnace has finally run its course or you’re thinking of upgrading to a different kind. Either way, you now need to plan for a new furnace installation, which can seem a little confusing if you don’t have any experience with it. To help you understand the process, here are some answers to the most frequently asked questions about furnace installation and replacement. Q: When do I really have to replace my old furnace? 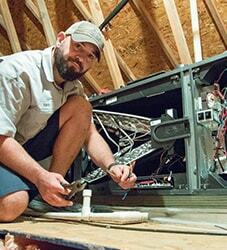 A: If your furnace has been warming your house for more than 10 years, then chances are it’s time for a new one. Some furnaces are able to run for closer to 20 years, so if you aren’t ready to call in a replacement yet, have a professional assess your aging furnace. They’ll tell you if it’s time to move on or if you can wait a little while. Q: What are the signs that my old furnace is failing? A: When an old furnace nears the end of its life, your energy bills tend to jump up because the unit is working harder to warm the home. Additionally, it might not heat the house very evenly while making loud noises, rusting, or breaking. Q: Can I install a new furnace by myself? A: Although the answer is technically yes, most wouldn’t advise it. The installation process can be pretty complicated and often requires advanced technical knowledge, so it’s always safer to have a professional handle it. Q: How much can I expect to spend on a new furnace? A: This really depends on where you buy the furnace, what kind you pick, and the company you choose to install it. 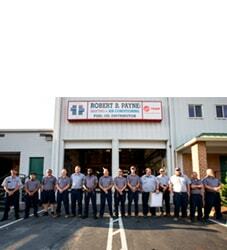 If you feel that it might be time to swap out your furnace, contact Robert B. Payne, Inc. The company will give you a reasonable price for installation and walk you through the entire process. 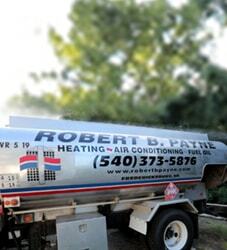 To schedule an installation or speak to a representative, visit https://www.robertbpayne.com/ or call (540) 373-5876.